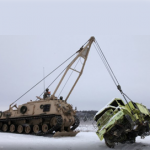 The Marine Corps Systems Command has partnered with U.S. Army‘s Cold Regions Research and Engineering Laboratory to explore methods to increase the mobility and performance of U.S. Marines’ M88A2 Hercules armored recovery vehicle platform in extreme cold weather conditions. 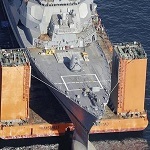 The Army said Monday the project could last up to three years and will initially analyze the vehicle’s performance and limitations when it operates in a harsh environment. MCSC and CRREL will also collaborate to develop laboratory test methods, while the Army’s Tank Automotive Research, Development and Engineering Center and its NATO partners will work to evaluate concurrent mobility investigations. Hercules is designed to help military personnel recover different kinds of disabled and damaged vehicle such as M1A1 Abrams tanks. “CRREL is excited to help the Marines improve the M88’s mobility in cold regions and possibly extend that improvement to soft, muddy environments as well,” said Jared Oren, chief of CRREL’s engineering resources branch.